I’m not usually short for words (I’ve written over 100,000 of them in the #It Happened series) but today is different. This is the last edition of a series that began on October 3rd, detailing John Tavares’ first NHL game (You can find that edition here) …and it ends with Bob Nystrom’s most famous goal... JT to Nystrom… There’s some symmetry there I guess. Thanks so much to all of the people who have contributed to this series with their anecdotes, pictures and videos. and of course to my family. However, the biggest thanks goes to you -- the reader -- for reading, and for all of the nice words that you have said not only about this series, but about The Skinny as well. 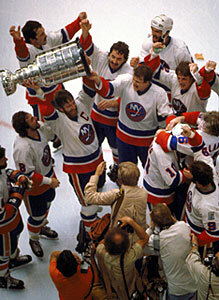 35 years ago today (1980) - The Stanley Cup is ours! 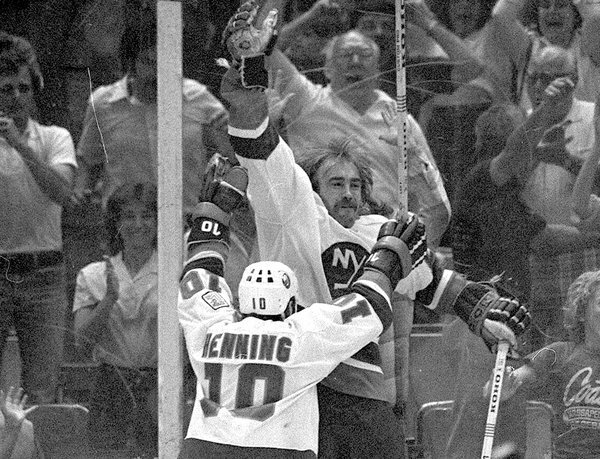 Bob Nystrom converted a pass from John Tonelli at the magical 7:11 mark of overtime as the Islanders defeated the Philadelphia 5-4 to win the Stanley Cup in 6 games. Reggie Leach had given the Flyers a 1-0 first period lead with a power play goal but Denis Potvin knotted the game with a power play tally of his own. That set the stage for the most disputed part of the game – a goal by Duane Sutter after a missed off-side call by Leon Stickle. “I guess I blew it”, Stickle told a pool reporter. Flyer fans will tell you that call cost them the Stanley Cup –they’ll usually conveniently forget that Brian Propp tied the game before the first period was over. Mike Bossy broke the 2-2 tie with the Islanders’ second power play goal of the game at 7:46 of the middle session, and when Bob Nystrom beat Peter Peeters with just 14 seconds to play in the session, it seemed like the Islanders had the game in hand. Jim Robson was calling the game for Hockey Night in Canada and ironically noted, “Bob Nystrom will never score a bigger goal in his life.” He was right – for about 90 minutes. Give the Flyers credit though. 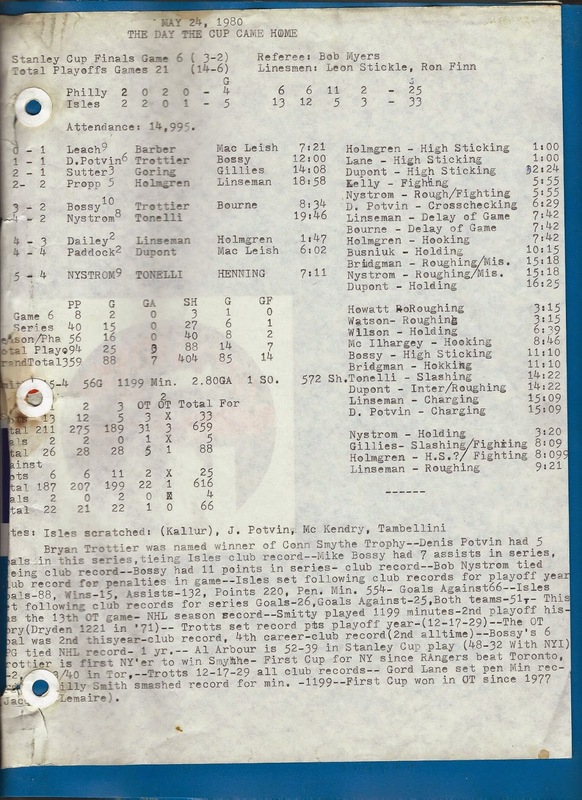 Philadelphia had finished first overall, in large part due to a 35-game unbeaten streak, and with their season on the line they managed to tie the game. Bob Dailey scored just 1:47 into the third period and John Paddock scored 4:15 later to get the Broad Street Bullies, who were looking for their 3rd championship in 7 years, even. Neither team could score in the rest of regulation and (after CBS showed 15 minutes of golf), we went to overtime. 35 years later, the Flyers are still waiting. It was 5:40pm on that 24th day of May, 1980. 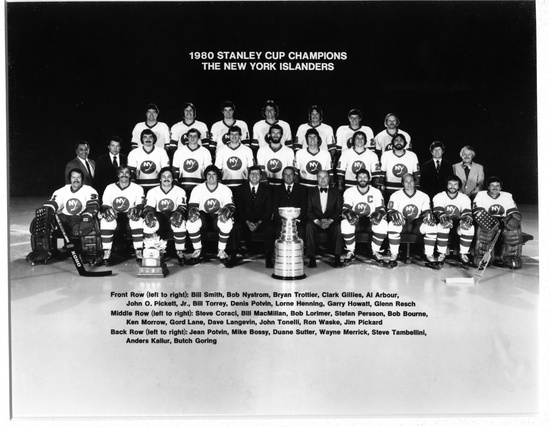 At 7:11 of overtime, Tonelli’s pass to Nystrom made history as Bob Nystrom scored “The Goal” ….and the Islanders won the Stanley Cup. This scene was recreated in the same corner i.n 2015, when John Tavares scored to beat Washington in overtime in game 3. Others felt tears, of happiness. “All I want to do is cry. Cry, cry, cry, that’s all”, said Bob Bourne. This was the only game that aired on network television in the US in a span of nearly two decades -- Dan Kelly was at the microphone for CBS when Nystrom made history. Nystrom's goal was a work of art. Literally. Truth be told -- it was writing that post that gave me this crazy idea to cover the Coliseum's history on a day-by-day basis. In honor of the 30th anniversary in 1980, I shared a draft of the script that Jiggs McDonald used in 2006 to introduce the Stanley Cup champions. 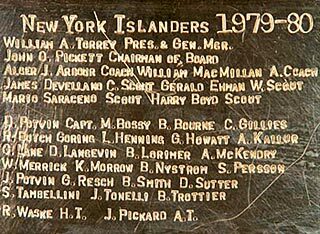 All-time, the Isles played one playoff games on May 24th at the Coliseum; they compiled a 1-0 playoff record on this date at 1255 Hempstead Turnpike in Uniondale. The final words in this series belong not to me, not to Howie and not to Jiggs. 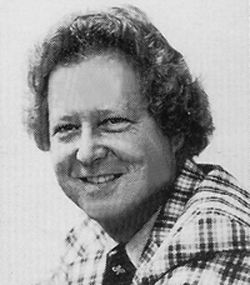 who called the play-by-play for only a handful of Islanders games -- he was John Sterling's sidekick when Sterling did the play-by-play for three seasons and then mainly served as the host of radio broadcasts that were simulcasts of the TV broadcast. With CBS televising Game 6, the Isles did their own radio broadcast and it was Lawrence (along with Jean Potvin) who had the call.